We will be open our regular store hours all weekend (at both locations!) for any last minute Mother’s Day needs. Obligate Carnivore…What Does That Mean? Learn what your cat needs to eat (and not eat) and why. All cats, small or large, are true carnivores, obligate carnivores. This means they must eat meat to survive. Cats cannot be vegetarians. Because they evolved to fill this top predator niche, their bodies are specifically geared for processing a prey-based diet. This is as true for a tiger as it is for the cat on your lap. Raw feeding is a way to feed cats a more natural diet. By natural we mean species-appropriate. A diet that fits their true nutritional requirements. The benefits to your cat are enormous. The Feline Nutrition Education Society website is chock-full of information on feline nutrition and health. They have an extensive Resource Center as well. Steve Duno of moderncat.com has a list of 13 easy things you can do to spark your kitty’s interest and raise her activity level. These are only a few basic ideas…let them lead you to more creative ideas of your own! Bored Cat? 13 Ways to Entertain Your Cat <— click! 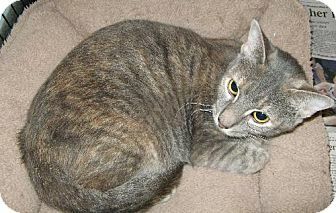 Click Silk’s photo for all her adoption details!Sweet, non-demanding Silk is looking for the purr-fect home! 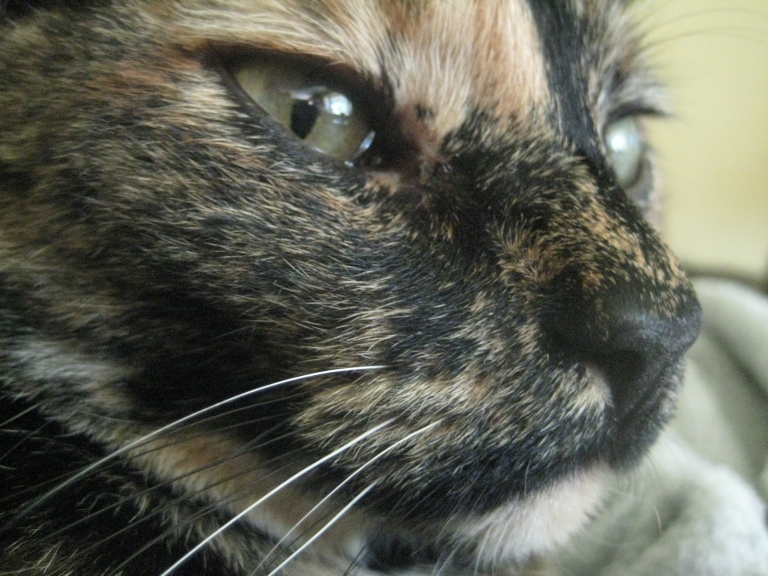 She gets along with other dogs and cats, and is a very happy, cuddly indoor kitty. She is available for adoption through the Bichon and Little Buddies Rescue and is now residing at a foster home. She is spayed, microchipped, Feline Leukemia and FIV negative, dewormed, and has had an FVRCP (distemper) vaccination and her Rabies shot. Her adoption fee has been reduced to $75 in hopes of finding her a home soon! Adoptable dogs and cats will be at the Mukwonago store on Friday, May 24th from 11am-3pm. Also, join Lakeland at their Second Chances Annual Dinner on May 10th, 2013. Check out this page on their website for more info. Rebecca Moravec, Animal Communicator. 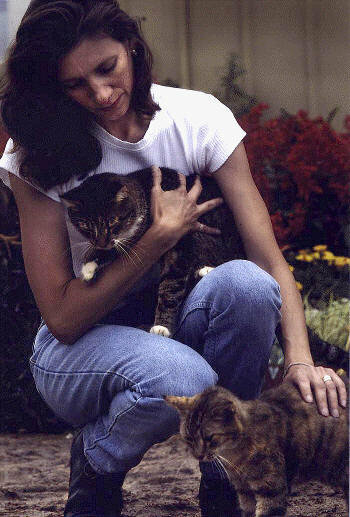 Click the photo to visit her website and learn more about Animal Communication!Animal Communicator Rebecca Moravec will be here at EOTL Mukwonago THIS Saturday, May 11th, from 10am-2pm and also Saturday, June 15th from 10am-2pm. Dr. Deanna Witte comes to our Mukwonago store every Thursday to do consultations and/or spinal manipulations for your pet. Veterinary service providing traditional and alternative treatment options for your pets. Services include spinal manipulative therapy, wellness exams with individualized vaccination schedules, medical treatment, aromatherapy/therapeutic oils, western herbs, nutrition counseling, and whole food supplementation. House calls available upon request.